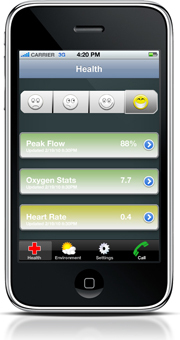 Appsthma is an iPhone app intended to help parents of asthmatic children manage their child’s illness while allowing their child to maintain some level of independence. The CareWear system anticipates behavioral and emotional changes in a toddler and helps the parent to understand how to adjust their plans for the day and week. 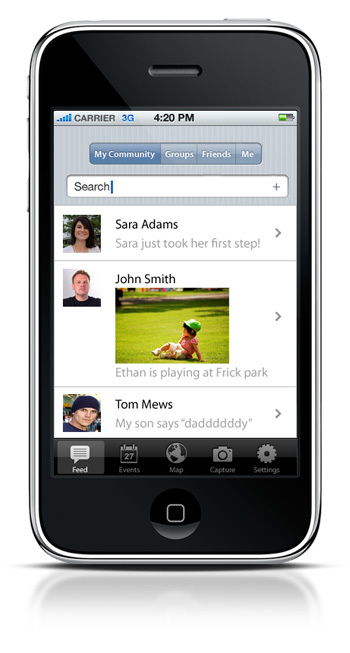 Chirp is an iPhone application to encourage elder exercise. Elders are encouraged to stay fit by pursuing the growing hobby of bird-watching. As they identify birds, groups earn points, which encourages them to stick together on their hikes. FoodForward helps families locate farmer’s markets and other sustainable and local food sources, find foods that fulfill dietary restrictions, and identify new foods to empower the food-shopping experience. How do busy couples keep the spark alive after having kids? heartON helps people find spontaneous opportunities to make romantic gestures for their spouse. We present a application that hopes to seamlessly meld the old with the new. Letterboxer is a fusion of the once-popular hobby of “letterboxing” with the latest technological advance of the iPhone. Little Chef is a mobile application that helps babysitters create a collaborative cooking experience. It collects everyone’s input for the ingredients and in turn gets everyone’s buy-in on the meal choice. 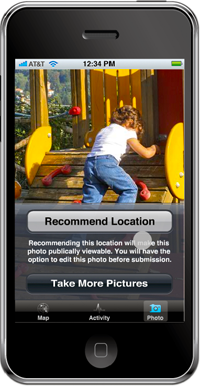 Opportune is an iPhone application that allows parents find user-recommended public locations that are suitable for children, on the go. At the heart of Opportune is the ability of parents to capture and record opportune moments of their child and share those moments with friends and family. 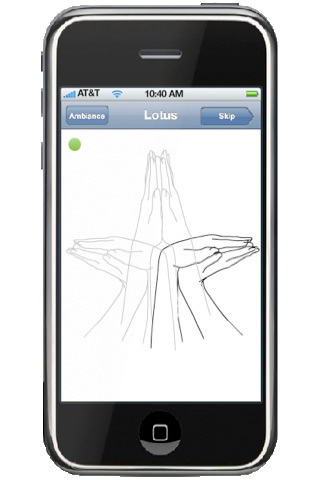 Serenity is an iPhone application meant to help working moms make the most of the small time window they might have in their busy schedule through meditation and hand yoga that can be can done anytime, anywhere. SmallWorld connects parents of toddlers to one another. Share memories, explore your neighborhood, find local events and meet other parents in your community! TCM is a way to create and share personal memories with family and friends that locks away memories while building anticipation in the countdown release of the memories.